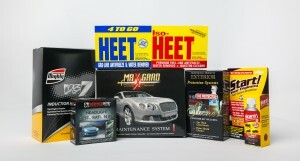 Our techniques including embossing, debossing, windowing and foil stamping when we design automotive parts packaging achieves that high end and professional look that this market demands. If for any reason you have any questions or comments about how General Converting design automotive parts packaging, feel free to give us a call at 630-378-9800 or fill out the form to the right and an associate will respond shortly. General Converting, Inc. design automotive parts packaging to be able to endure a rough transport, climate changes and extended lives on shelves. General Converting is eager to learn as much about your requirements as possible and to make the proper design suggestions based on our experience and expertise. In order to design automotive parts packaging, quality and durability are most important. Our clients know they can come to us to design automotive parts packaging that will safely and effectively hold their product and provide a perfect platform for their graphics. Only the highest standards of cleanliness are maintained throughout the manufacturing process. Our SBS board is usually selected when General Converting design automotive parts packaging for its bright, clean and attractive look. General Converting, Inc. design automotive parts packaging at a very reasonable price compared to our competitors and have a long and extensive history in the manufacturing of folding cartons for automotive parts packaging. . If you know exactly what you need, General Converting, Inc. would be happy to provide it, on the other hand if you are seeking design assistance and advice from people who have cutting edge knowledge and experience in the field. General Converting wants to ensure that you get exactly what you are looking for. If for any reason you have any questions or comments about how General Converting design automotive parts packaging, feel free to fill out the form to the right and a representative will respond shortly or give us a call at 630-378-9800.